All structures are constructed of 20 gauge steel studs, wrapped with half inch concrete board for added durability and moisture resistance, the base structure is finished with your choice of Veneerstone. 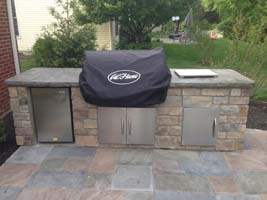 The unit comes with concrete counter tops, your choice of grey or brown; 2 outlets (1 exterior, 1 interior) a concrete footing is built into the unit, keeping the bar structurally sound and preventing any racking and eliminating cost of an additional footer. 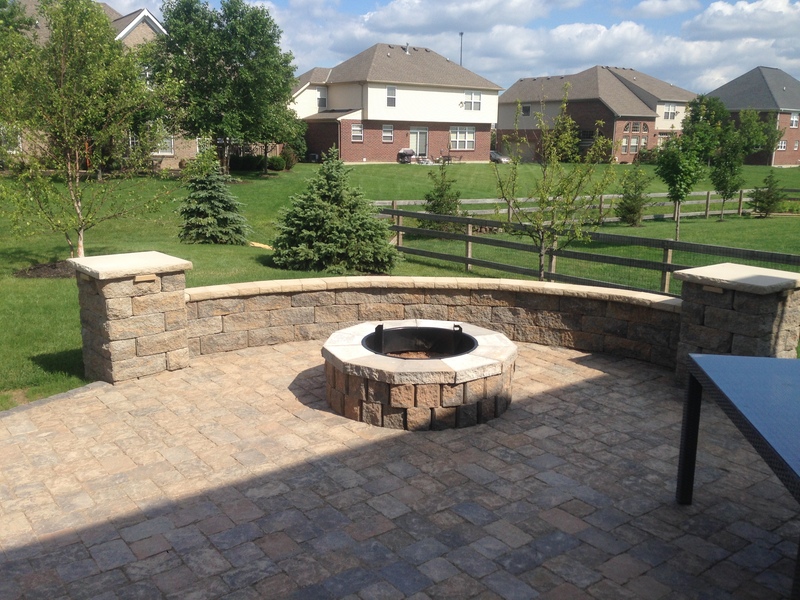 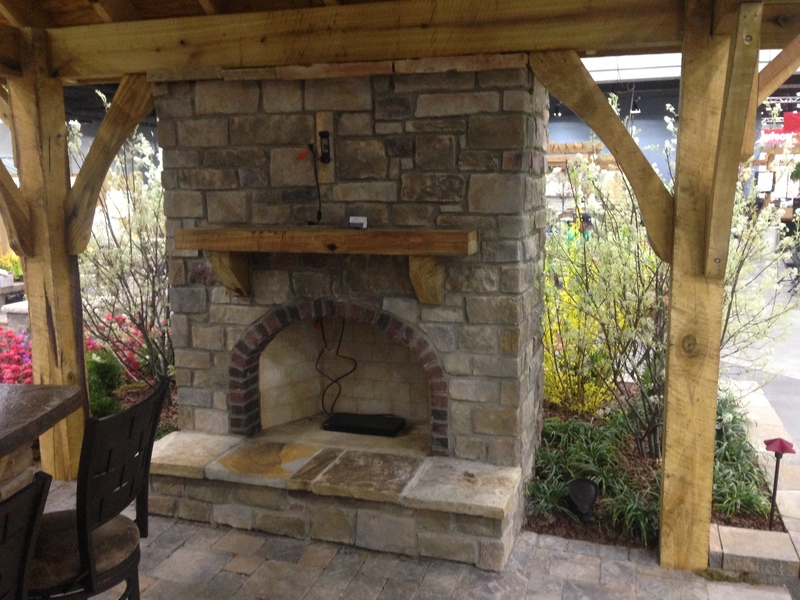 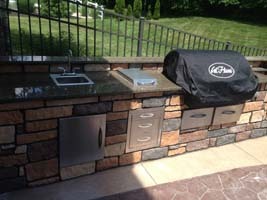 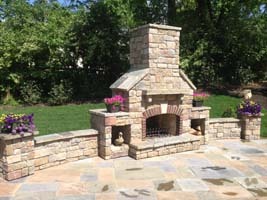 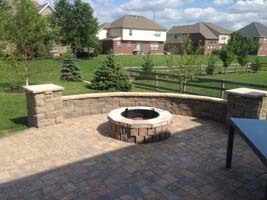 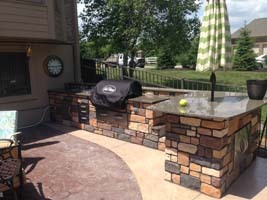 Your outdoor kitchen is finished with the stone of your choice and fitted with the cooking equipment that you need. 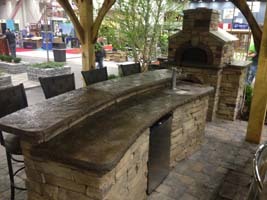 Available designs: 6’ base designs, 8’ base designs and 10’ base designs. 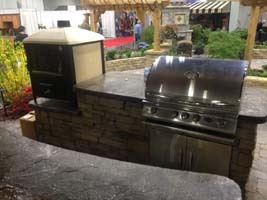 See More Bar & Grills here! 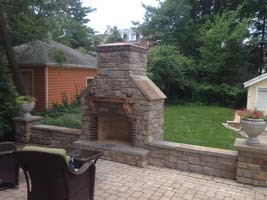 All units are constructed of 20 gauge steel studs, wrapped with half inch concrete board for added durability and moisture resistance and finished with your choice of Veneerstone. All fireplaces come standard with a stainless steel 36” wood burning firebox. 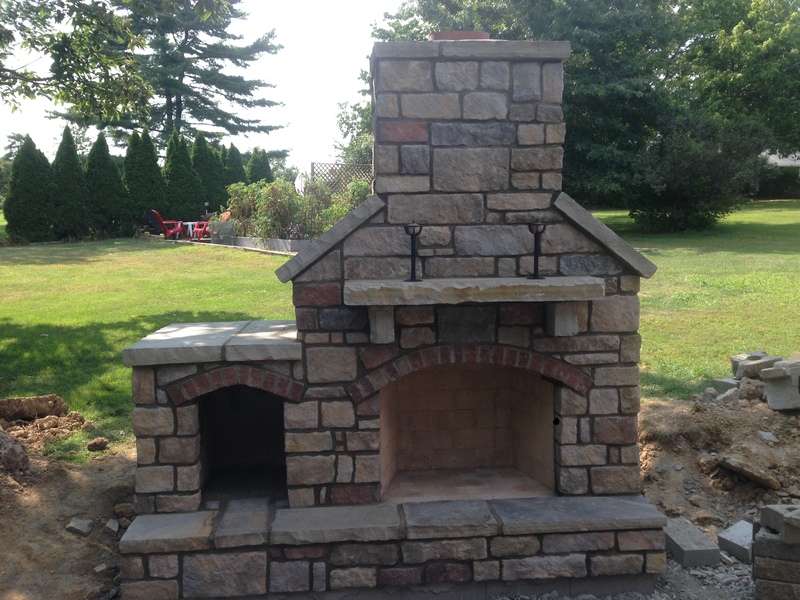 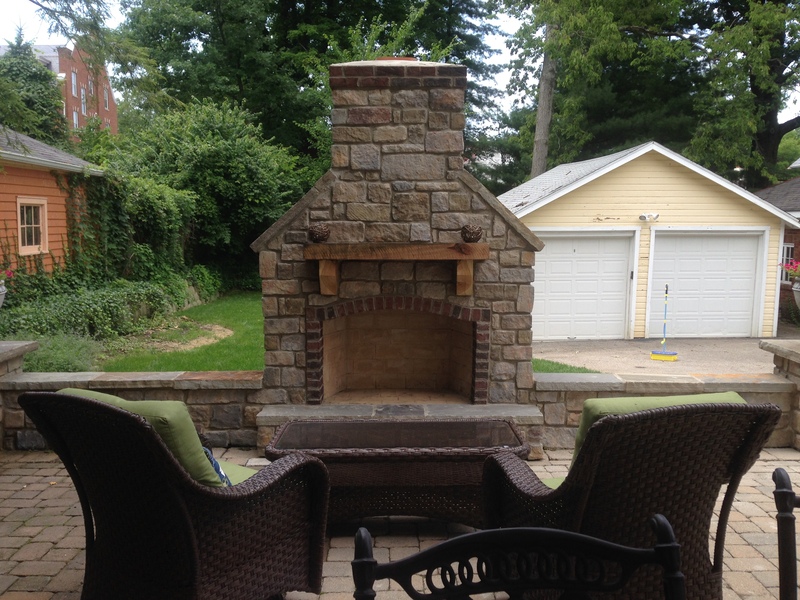 The shoulders and 12” hearth will be capped with natural grey or brown stone. 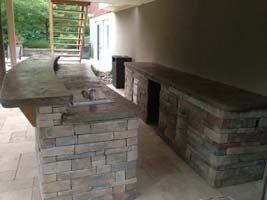 The concrete footing is built into the unit, providing a structurally sound unit, eliminating the extra cost of more footing.